Prompted by the Micrometals warning message and Dave Mills (G7UVW) Transformer Testing, I decided to test some of the cores I’ve been using. Each toroid was bifiliar-wound as a transformer. A through-test (S21) and absorption test (S11) was measured over the interesting range for each toroid using DG8SAQ VNWA. Be aware that both the amplitude and frequency scales change. Grey. As a resonant device, the frequency range is 10 kHz to 1 MHz. 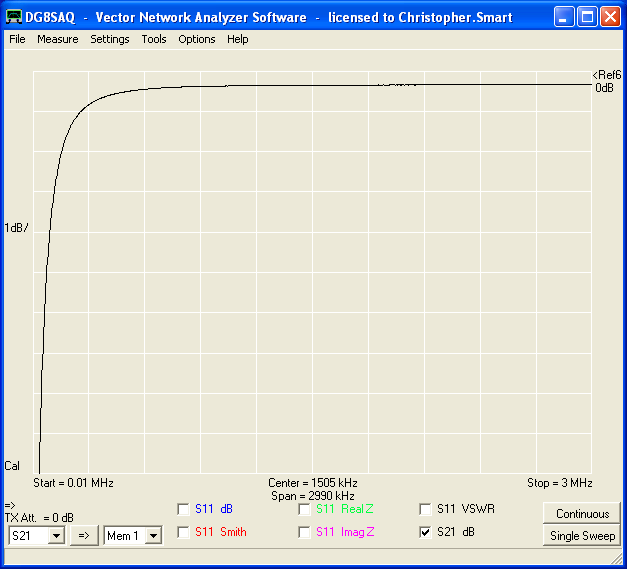 As a wideband device (transformer), the frequency range is 1 MHz to 50 MHz. 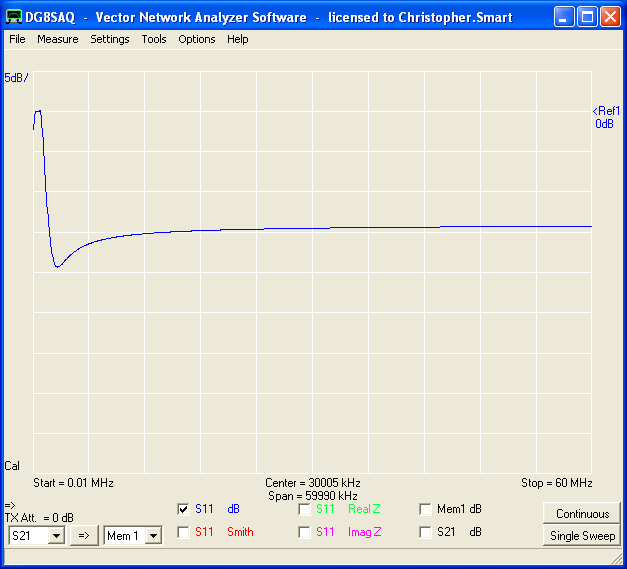 As a choke, the frequency range is from 30 MHz to 600 MHz. 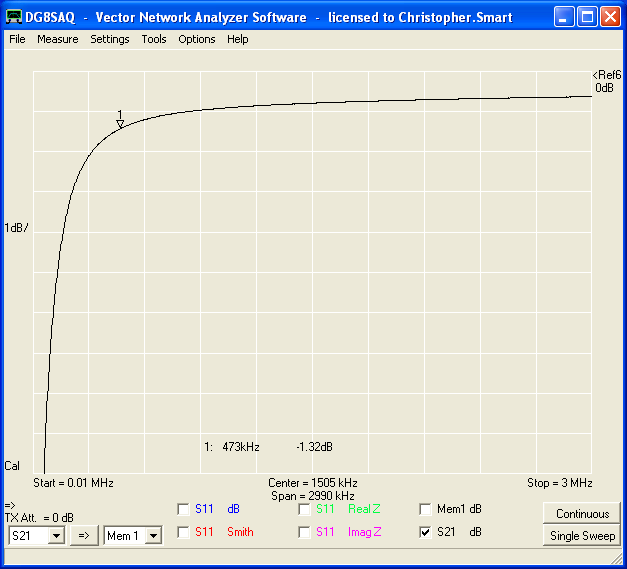 As the specification says, the resonant frequency range is small, at about 1.5 MHz. The broadband frequency range is very broad. 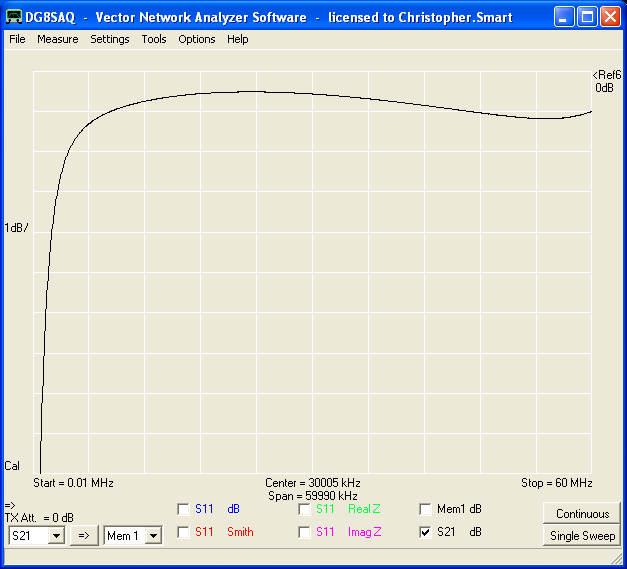 Easily useful to 50 MHz with around 0.5 dB ripple. Yellow/White. 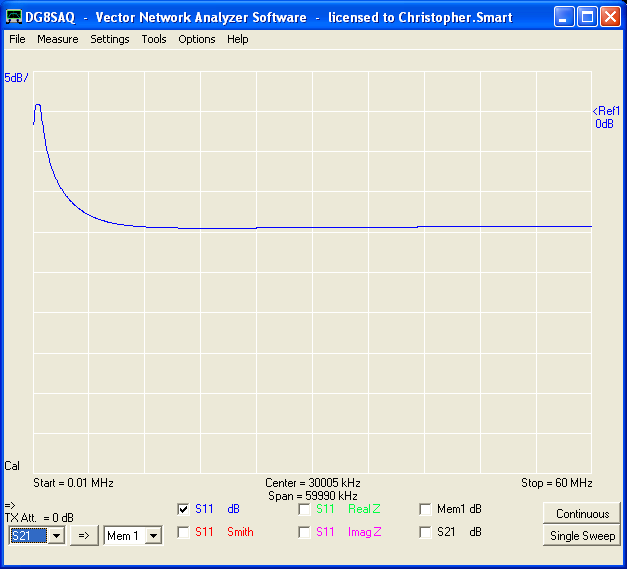 The frequency range is DC to 1 MHz. I wasn’t impressed with the 26-mix. The transformer frequency range is poor and it’s lossy as an inductor especially after the specified 1 MHz. I had expected T130-52 to be worse, but it appears significantly better than this T50-26. Green/Blue. 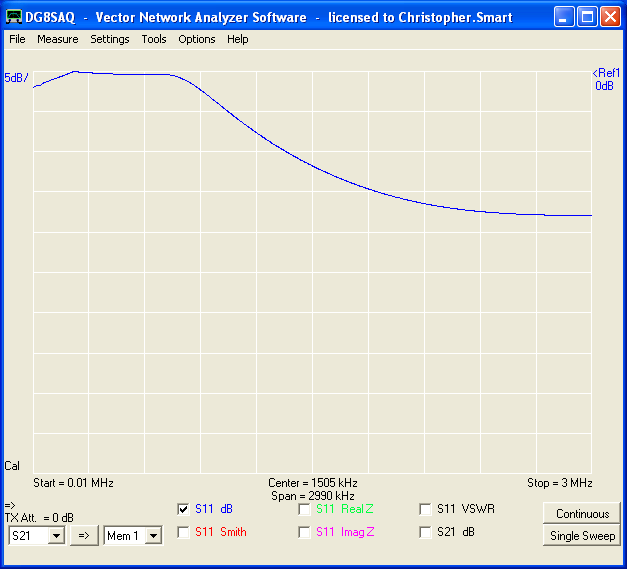 The frequency range is DC to 1 MHz. As a transformer, the T130-52 is better than the T50-26. As an inductor it is much better too! Maybe it’s because it’s a bigger core? Red. 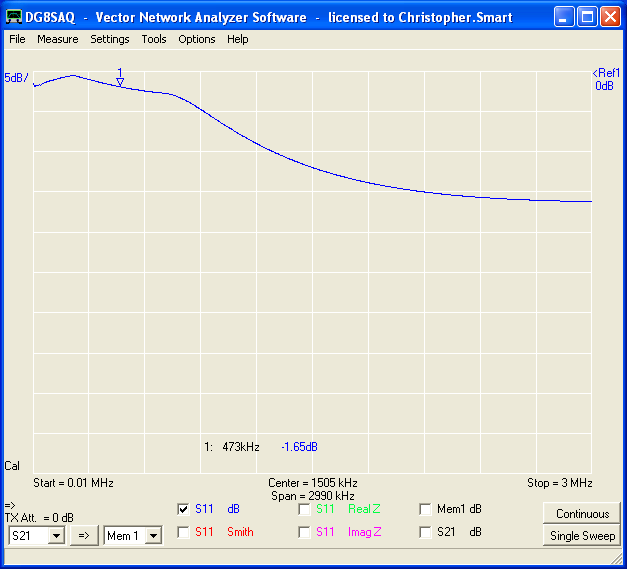 The frequency range is 1 MHz to 30 MHz. This ferrite is the classic for HF baluns and homebrew stuff. 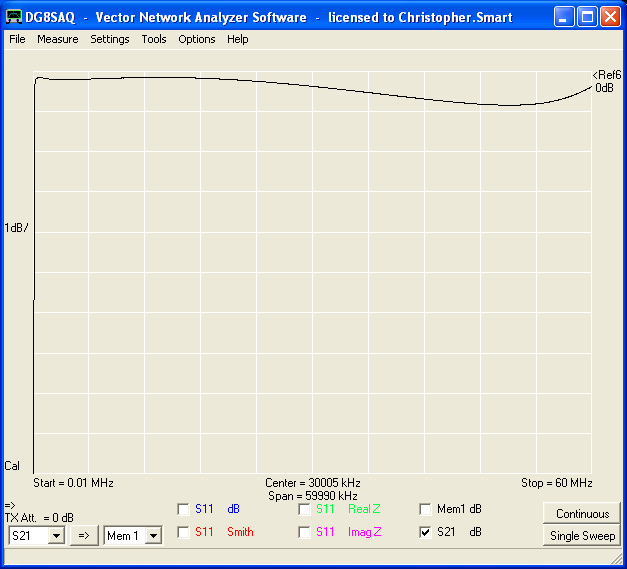 The frequency response of the transformer is good over 1-30 MHz range. As an inductor it seemed pretty lossy. Not sure if this was an issue with the experiment, or if it is that lossy?